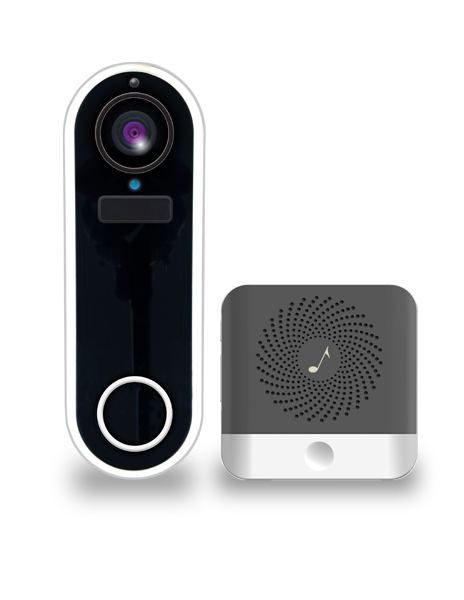 How It Works When your doorbell is pressed or motion is detected, the camera will wake up immediately & capture the event. Once everything is safe and sound, the camera will go into standby mode, which uses little battery power. When motion is detected, the camera will wake up immediately & capture the event. Once everything is safe and sound, the camera will go into standby mode, which uses little battery power. When your doorbell is pressed or motion is detected, the camera will inform you in real time via push notifications directly to your smartphone. The video will also be recorded directly to an SD card (sold separately). When in the live view mode, you can not only see clearly what’s happening but also listen and even talk back. How It Works When motion is detected, the camera will wake up at immediately & capture the event. Once everything is safe and sound, the camera will go into standby mode, which uses little battery power.